In 1993, Kenneth Williams died. He was the author of Real American Wilkes Barre. In 1993, Irina Krush, at the age of 9 (born Dec 24, 1983), beat a chess master, the youngest girl ever to beat a chess master in a rated game. In 1993, John Penquite (1935- 2007) had a USCF correspondence rating of 2939 after 58 straight wins with no losses or draws. In 1993, Jay Bonin won the Manhattan Chess Club championship. In 1993, Maurice Ashley won the Marshall Chess Club championship. In 1993, Alexei Bezgodov won the Russian chess championship. In 1993, the FIDE world championship match was supposed to be between Garry Kasparov and Nigel Short. However, Kasparov wasn't happy with the prize fund, so he broke away from FIDE and helped founded the Professional Chess Association (PCA). Kasparov objected that 20% of the prize fund would go to FIDE. In 1993, the Armed Forces chess championship was sponsored by the DoD, but not fully funded for the first time. In 1993, Major Bill Wall won the Texas Armed Forces championship, held in San Antonio. In 1993, Air Force Sergeant Elvin Wilson won the 34th US Armed Forces championship. Air Force won the team championship. There was no Sea Services team that year. In 1993, the 5th NATO championship was supposed to have been played in the United States, but they had to rescind their offer in the middle of the year due to financial reasons. In 1993, a chess player named Tim Trogdon was playing in a chess tournament in San Antonio, Texas. After the end of the first day, he got so mad at the tournament director for poor pairings and bad tournament conditions at the hotel, which he tore down and ripped up the pairing sheets that were posted for the next day. The police were called and he was arrested. I bailed him out. On January 2, 1993, GM Vladimir Makogonov died. On January 30, 1993, Nigel Short defeated Jan Timman in a match, scoring 7.5-5.5 and earning $124,000. On January 31, 1993, Judit Polgar defeated Boris Spassky in a match, held in Budapest. On February 9, 1993, GM Parimarjan Negi was born in India. On March 8, 1993, Johannes Turn died. He was a leading Estonian master. On March 14, 1993, Garry Kasparov won at Linares. It was a category 18 event. 11 of the top 14 in the world were there. On March 23, 1993, FIDE forfeited Kasparov and Short as World Champion and Challenger. On March 26, 1993, GM and chess author Reuben Fine died. On June 13, 1993, Gata Kamsky won the National Open in Las Vegas. On June 22, 1993, a person was shot and killed while playing chess with a friend outdoors in Bosnia. It was the first recorded killing of a chess player by sniper fire. On July 5, 1993, Alex Yermolinsky won the World Open in Philadelphia. At the 1993 World Open in Philadelphia, an unrated Black newcomer wearing headphones used the name "John von Neumann" and scored 4.5/9 in the Open Section, including a draw with a grandmaster and a win over a 2350-rated player. This player seemed to have a suspicious bulge in one of his pockets, which appeared to make a soft humming or buzzing sound at important points in the game. When he was quizzed by the tournament director, he was unable to demonstrate even a rudimentary knowledge of some simple chess concepts, and he was disqualified. On July 13, 1993, Waitzkin and Kreiman won the US Junior Championship, held in New York. On July 17, 1993, the World Youth Championship was held in Slovakia. Bacrot won the event. Jordy Mont-Reynaud of the USA took 3rd. I was his chess coach at the time. On July 31, 1993, the Women's Interzonal in Jakarta was won by Arakhama. On August 7, 1993, the US Open was held in Philadelphia. Alexander Shabalov took 1st place. On August 9, 1993, Charles Weldon died. He was born in 1939. He won the Wisconsin championship in 1959-1960, 1963, and 1979. He was a professor of computer science at City College of New York. In 1993 he traveled to Yugoslavia to play in a chess tournament. At the conclusion of the tournament, he had appendicitis and his appendix was removed. However, there were complications in the surgery and he died suddenly of peritonitis. On August 11, 1993, the movie Searching for Bobby Fischer was released by Paramount. On August 25, 1993, the US Women's Championship was held in Illinois. Elena Donaldson and Irina Levitina tied for 1st. On September 26, 1993, the US Senior Open was held in Reno. Wagner, Margulis, and ron Gross tied for 1st. On October 9, 1993, GM Wesley So was born in the Philippines. On October 20, 1993, Harry Borochow (1898-1993) died. From 1930 to 1932, he won the California State Championship. In 1960, he was California State Membership chairman. Both the First Piatigorsky Cup (1963) and the Second Piatigorsky Cup (1966) tournaments were directed by him. The US Chess Federation awarded him the title of Master Emeritus. On October 24, 1993, Garry Kasparov won the PCA World Championship after defeating Nigel Short. The BBC had 60 hours of chess on television during the Kasparov-Short world championship match in London. On November 4, 1993, FIDE master Billy Colias died. He was born in 1966. He died of an accidental overdose of Tylenol and alcohol. On November 6, 1993, the Harvard Cup of man vs. machine was played. Joel Benjamin went 6-0. Humans defeated the Computers, scoring 27-9. On November 6, 1993, the 12th world microcomputer chess championship was held in Munich, Germany. It was won by Hiarcs. On November 15, 1993, the FIDE Congress was held in Brazil. In 1993 there were 48 GM titles awarded. On November 17, 1993, the World Women's Championship was held in Monaco. It was won by Xie Jun. On November 21, 1993, Mark Taimanov won the World Senior Championship in Bad Wilbad, Germany. On November 28, 1993, the 29th American Open was held in Long Beach. It was won by Loek Van Wely. On December 2, 1993, Igor Miladinovic won the World Junior Championship. On December 9, 1993, Alexander Koblencs died. He was a Latvian International Master. On December 14, 1993, Alexander Shabalov and Alex Yermolinsky tied for 1st in the U.S. championship, held in Long Beach. On December 19, 1993, George Cunningham (1909-1993) died in Maine. He was a college professor in Maine. 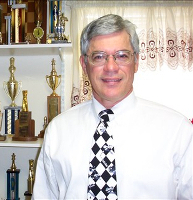 In 1978, he was Executive Director for the United States Chess Federation (USCF). In 1980, he was the ratings statistician for the USCF and introduced the bonus points, feedback points, and fiddle points. On December 25, 1993, International Master Boris Kogan (1940-1993) died of colon cancer. He became Soviet Junior Champion in 1956 and 1957 and moved to the USA in 1981 - in the same year he was awarded the title of IM. He won the Championship of Georgia, USA 9 times and seven times in a row (1980 to 1986, 1988 and 1992). On December 27, 1993, the Pan-American Intercollegiate Championship was won by Manhattan Community College.